Apple on Wednesday released a renewed its Apple Worldwide Developer Relations Certification Intermediate Certificate, a security protocol used by Apple Wallet Passes, push packages for Safari Push Notifications and Safari Extensions. According to Apple's announcement, first spotted by iMore, the change does not affect most developers, though the company recommends downloading and installing the renewed certificate as a best practice. Prior to today, the Intermediate Certificate was set to expire in February 2016. 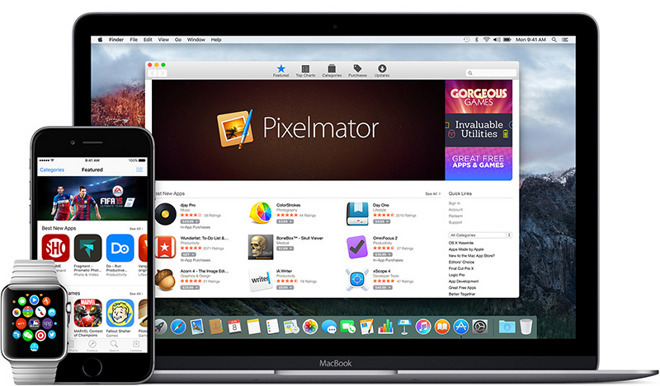 Developers whose apps provide passes for Apple Wallet, deliver Safari push notifications or rely on Safari Extensions do, however, need to take action by downloading the renewed certificate through Apple's website. In such cases, developers need to update their pass signing servers or push package signing server with the renewed certificate by Feb. 14, 2016. Extensions must also be built with the certificate installed by the same date. The change should be seamless to end users running iOS and tvOS apps, as well as those with installed Safari Extensions. Apple notes OS X 10.11 or 10.11.1 El Capitan machines might receive an error message from apps using receipt validation, though users can simply restart their Mac or update to OS X 10.11.2 to resolve the problem. Users running the legacy OS X 10.6.8 Snow Leopard Mac operating system will need to install a software update in January to run apps utilizing receipt validation, Apple says. Apple notes the renewed Apple Worldwide Developer Relations Certification Intermediate Certificate will expire on February 7, 2023.